The new Sustainable Development Goals (SDGs) provide an opportunity to reassess the “indicators” or benchmarks for reaching the expiring Millennium Development Goals (MDGs) and make changes where appropriate. One outgoing indicator—“unmet need” for family planning—was controversial when it was first adopted and has gotten even more controversial in the hands of activists. 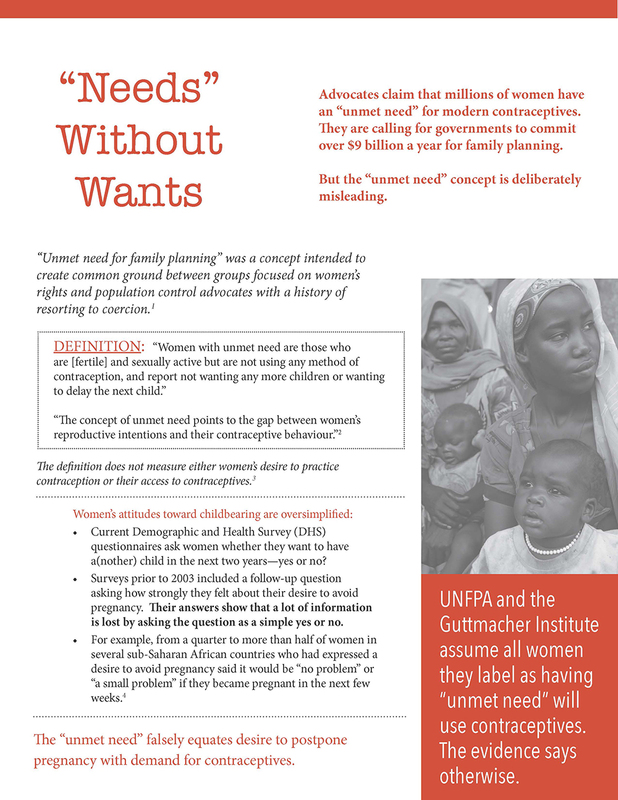 The concept of “unmet need” emerged in the wake of horrific population control programs that forcibly sterilized and aborted the children of poor women. 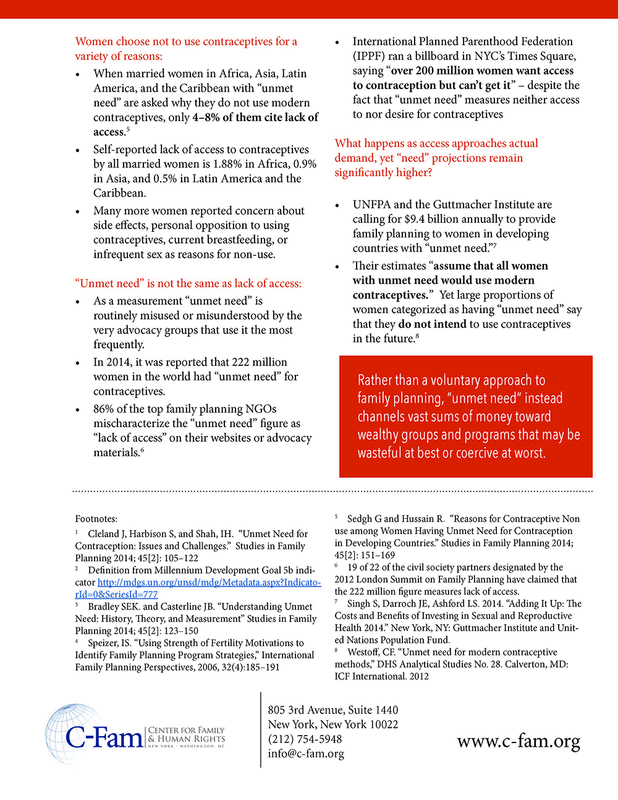 “Unmet need” was an attempt to find common ground between women’s rights advocates and population control groups. As defined in the MDGs, “unmet need” described women who were married, presumably fertile, expressed a preference not to have a child in the next two years, and who were not currently using modern contraception. Critics pointed out that such a definition was inadequate since it excluded women who had health, religious or other objections to using contraception. Others complained that the definition of modern methods excluded natural fertility-awareness-based methods despite their high level of accuracy and user satisfaction. A closer look at the method used to measure “unmet need” is quite revealing.